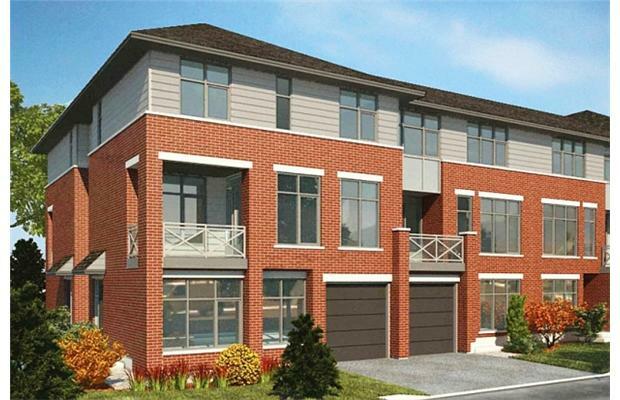 Aveia is a 60-unit townhome project by Gatineau builder Boulet Homes. Ask Pierre Boulet of Boulet Homes “what’s new” and you’ll hear breaking news — he’s breaking ground in Orléans this month. The Gatineau builder, in his ninth year of business, is known for quality design features and finishes. This is Boulet’s first venture into Ontario territory, but he’s bound to receive high praise for his new project, the Aveia collection (aveia.ca). This project will also welcome famed Ottawa architect Barry Hobin and his award-winning designs to the Orléans marketplace. When asked why he chose to venture across the Ottawa River, Boulet told me he was excited by the opportunity to expand his company and develop properties in Ottawa. Things are also going well in Aylmer, where Boulet will be completing a 1,000-unit development this year. But back in Orléans, Aveia’s brick façade and great Hobin design features await. Situated on a private cul-de-sac near St. Joseph Boulevard, east of Trim Road, Aveia is sure to delight the senses. To ensure its tranquil setting, Boulet purchased seven acres and gave three-and-a-half back to the City of Ottawa to preserve the parkland and natural habitats. His goal in building Aveia in this beautiful location, backing onto a picturesque creek, was to add urban flair to a pastoral and tranquil backdrop. Boulet loved that this private enclave enjoys river views and ready access to cycling and cross-country ski trails. The creek’s lookout, complete with seating area, is another, more tranquil, way to experience the delights of the outdoors. Its proximity to Orléans shopping, restaurants and the Shenkman Centre is an added bonus. With a total of 60 townhome units, Aveia has three phases for purchase. The Ballad is phase one and 23 out of 24 of its homes have already been sold. The second phase is the Sonnet, which will bring 12 homes to the market. Finally, the Lyric will present an additional 24 homes. Each of these properties will boast soaring nine-foot ceilings in the principal rooms and beautiful views of the matured treed grounds beyond. The Ballad, a series of back-to-back units, creates a sense of loftiness not only with its name, which conjures up an image of soaring notes, but also with its use of nine-foot ceilings on both the first and second floors and eight-foot ceilings on the third. Eight-foot, main-floor interior doors create a dramatic and open feeling. Each Ballad will have its own private terrace. December occupancy is expected. These walk-ups enjoy open-concept, ground-floor design and floor-to-ceiling back windows to facilitate spectacular views of the natural and tranquil Aveia setting. They should be ready by February. This phase, which hasn’t been released yet, is all walkouts with three bedrooms (two bedrooms plus loft), each with their own ensuite bathroom. Like the other two phases, these homes will offer an open-concept main floor with a plethora of windows offering sweeping views of the natural setting. Not only is the setting naturally beautiful, but it will also be fully landscaped, as per the development agreement with the city. The entire project also offers individual garage parking. Aveia is a viable housing option for those who desire a property with an urban edge in a beautiful, tranquil setting. 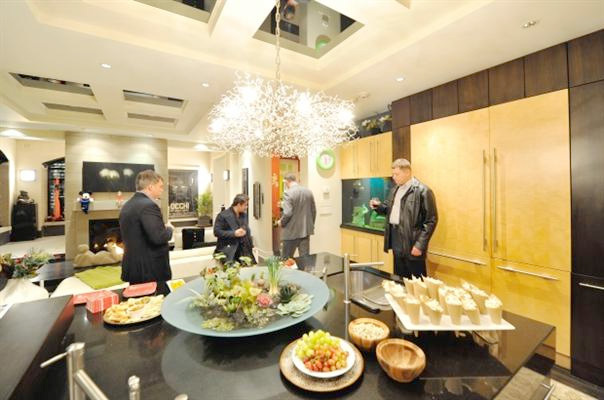 Prices: Starting at $269,900 for a 1,389-square-foot two-bedroom to $399,900 for a 2,195-square-foot two-bedroom-plus-loft. Sales centre: 1024 Old Montreal Rd.